Over at our sister publication, the AVID Soccer Equipment Review (ASER), the first summer shoot-out has been published. This year, they compared a complete player kit including the jersey, shorts, socks, track suit and bag. Diadora came to the table with true Italian style and top flight quality. Sarson was no slouch either. They brought functional quality and solid value to the game. The first category for comparison was functionality. Sarson pulled ahead with a better breathing uniform and a backpack instead of a game bag. However, the design details of the Diadora warm-ups were far superior to the Sarson bits. This showed experience and attention to detail that only comes from playing in the gear. The quality, fit and finish measures all went to Diadora. At nearly twice the price, this isn't surprising. Price was not part of the comparison, so the value of the Sarson kit was not factored into the ratings. Finally, the packages were judged on style and desirability. Again, Diadora won hands down. The Sarson uniform earned points, but Diadora was the complete package. 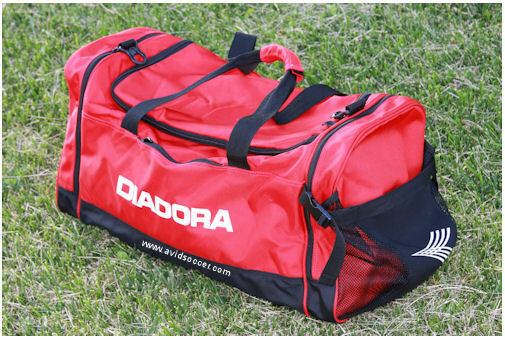 For more details, visit the AVID Soccer Equipment Review and check out all of the gear.